HOWELL Mich., Feb. 2, 2012 – This morning for Groundhogs Day, we drove out to the Howell Nature Center in the new 2012 Ford Focus to see Woody, Michigan’s Official Groundhog, give her prediction to see if we would have spring soon or if we would be stuck with six more weeks of winter. The drive out was as equally as exciting as the anticipation for the spring prediction. It was quite chilly out, but the heated seats of the Focus made the drive nice and warm and quite comfortable. The steering wheel had buttons galore allowing access to all of the MyFordTouch with SYNC features and with voice command it could all be done without ever taking my hands off the wheel or my eyes off the road. Just by calling out “Sirius,” the voice command would switch over to Sirius XM radio and then ask what channel or genre to play. All of the sharp LCD displays on the dash and console coupled with the cool blue ambient lighting really made driving the 2012 Focus feel like you were driving the car of tomorrow, today. 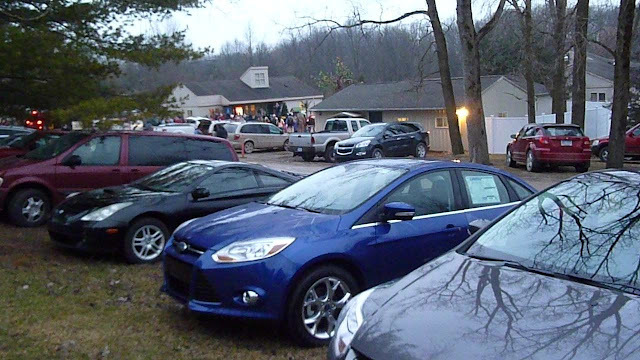 The Howell Nature Center was packed with a giant crowd of eager spectators, Woody fans, and reporters including Livingston County’s own 93.5 WHMI and Fox 2. The event began with the history of Woody and how she had been brought to the Howell Nature Center after her mother had been killed by a farmer. She has since found her way into the hearts of many that have visited the Nature Center since 1998. A costume contest was held for kids to come out and dress up in costumes or summer outfits in anticipation of spring and summer. Last year, Punxsutawney Phil made an incorrect prediction getting our hopes up, while Woody correctly predicted six more weeks of winter. 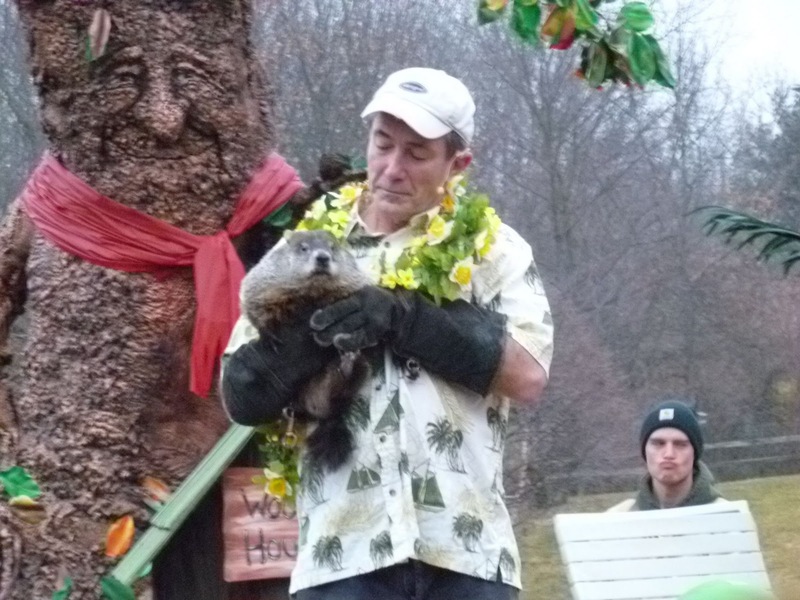 Director Dana DeBenham noted, “What would a Pennsylvania groundhog know about our crazy Michigan weather?” As 8:15 approached, you could tell the anticipation in the crowd peaked. Then it was finally time for the moment of truth. Is spring just around the corner or are we stuck with six more weeks of winter? Woody’s door opened and out she came. The crowd excitedly counting to thirty, if Woody stayed out for this time spring would be here soon. With just a few seconds left on the countdown it looked like Woody was going to head back inside, but stopped short of the door and turned around to tell us that spring is just around the corner! Visit the Brighton Ford YouTube Channel to see the Woody coming out and making her prediction. As we drove back to Brighton Ford, the 2012 Focus provided an incredibly smooth ride and blocked out virtually all of the noise of the road and passing cars, leaving us with no distractions from driving and happy thoughts of warm weather and sunshine. Brighton ford is located at 8240 Grand River Ave. just north of I-96 in Brighton. We are a family owned and operated business that strives on customer satisfaction. For more information on Brighton Ford, visit www.BrightonFord.com.